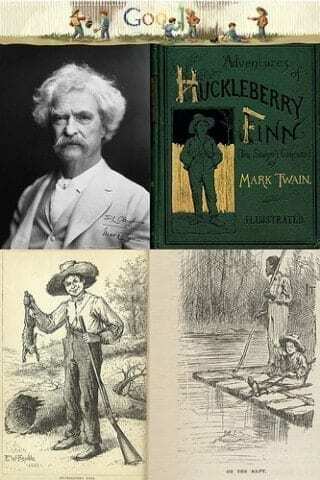 In the novel The Adventures of Huckleberry Finn, the author presents us with two individuals on the run from the law in order to achieve the goal that so many of us strive for throughout our lives: freedom. They each have a different reason for seeking this illustrious treasure, but in the end, their common goal brings them together and helps them to forge a bond more powerful than steel, leading them through the thick and the thin. The first of these two characters is the individual for whom the novel is named, Huckleberry (“Huck” for short) Finn. Huck is a young man whom of which has never experienced freedom to its fullest extent, nor love, and has a yearning for both of these precious things. As such, he goes on the run, originally seeking to find himself, and therefore, find freedom within the person that is Huck Finn. Jim has a noble goal in mind as well: he desires freedom from the oppression of slavery, and to ultimately free his enslaved family. As such, when he hears that he is going to be sold down to another state, he immediately panics, and decides to take it as an opportunity to go out on the run and escape slavery for good (Twain, 38). He hopes to ultimately return back in order to free his family. Jim and Huck have something in common: they both are confined by those that they live with, and need the freedom that they desire to give them a taste of what life truly is. Miss Watson and Huck’s father both actively hold Huck back, while Jim is literally a slave, and forced to do the bidding of Miss Watson. However, they also differ in the fact that Huck running away for his freedom is far less dangerous than Jim running away, as Jim will most likely die if he is captured again. While they’re gone, they experience many adventures, and overall, their so-called “lighting out for the territory” sounds as if it went quite well. Huck and Jim both escape their oppression, and in the end, their adventures gave them the freedom they needed. It should seem that Twain was attempting to convey to the readers by their success that life is short, and that we need to do all that we can with it, as Huck and Jim did in their excursions throughout the South. Twain, Mark. The Adventures of Huckleberry Finn. p. 38.